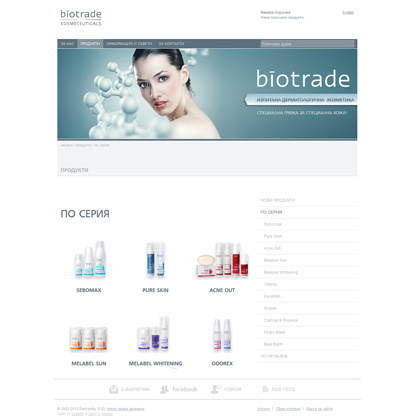 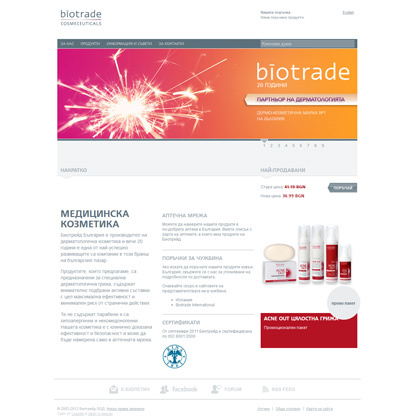 Biotrade is dedicated to dermatology and innovative research, which leads them to superb results in the generation of new promising compounds and formulas for the treatment of different dermatological conditions. 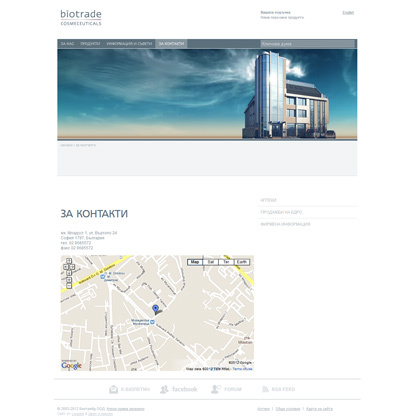 8 years after releasing its first website it's time for a change - new vision, additional functionality and enriched information. 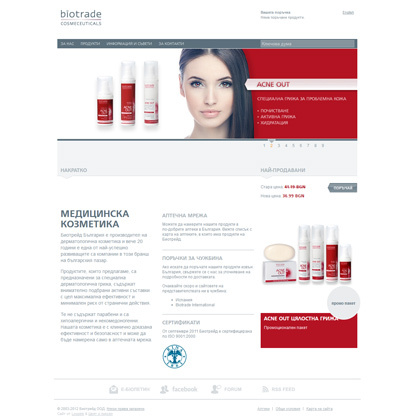 Behind the website works a special content management system (CMS) which allows fast, easy and comfortable work with all language versions of the website, as well as order tracking and product deliveries.